Tunics are great to wear over tights and hide body imperfections. 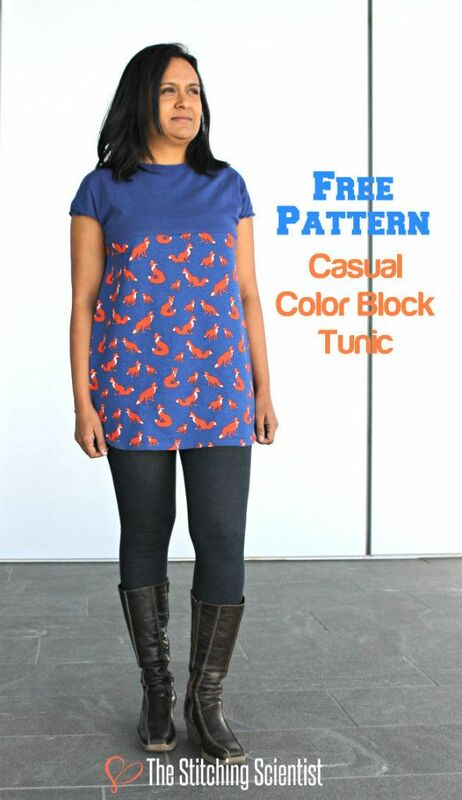 This color block tunic pattern is meant to be slightly loose and free-flowing. It comes in 3 sizes (S, M and L). You can scale the pattern up or down 10% if you want it larger or bigger. The orange contrast on the royal blue top looks adorable, it's perfect for the fall season. Pattern and tutorial by Remona @ The Stitching Scientist.